Here’s a very cool NXT-R4 to hit the blog this week! This one is pretty darn cool in a couple ways. First we really don’t do many red NXT’s (although we think that will change after this build) Second this one is being used to drive from the customers house down to the beach while carrying SUP boards. Because the SUP boards are so cumbersome our customer wanted an easy solution to carry the boards. So they asked us to mount a rack system on the side of the cart as opposed to the roof of the cart. This makes for easy lifting of the boards on an off the cart. Have a look at how has come together so far! Next we headed into the booth and got this amazing paint color knocked out! Have a look at it in the sun! We even did a color matched bumper to really set it off! The rear got the same treatment! Windshield and roof where next! Here are the side racks, the arms are completely removable so you are only left with the low profile aluminum bars. This is going to make hauling the SUP’s a breeze! 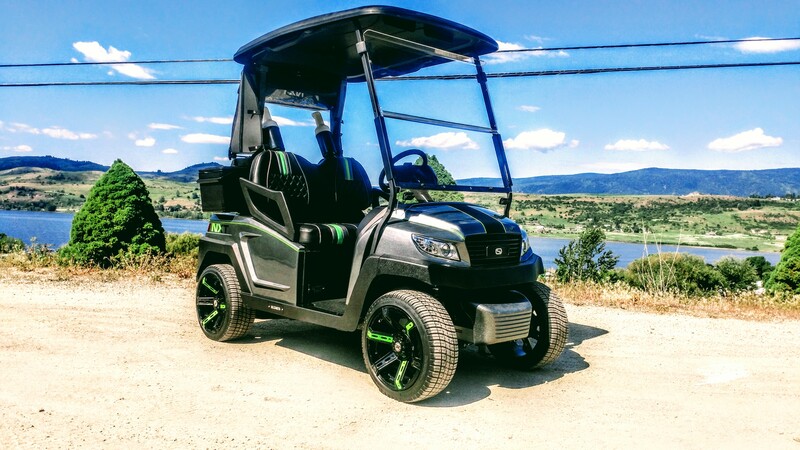 Come back next week as we get this cart completed and delivered to it’s new home right here in Vernon BC! If you haven’t followed us on Facebook your missing out on all the action!